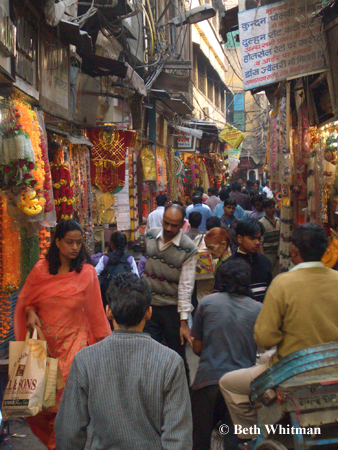 India is heaven for those looking for some retail therapy. Bargains abound but you’ll want to be careful about the quality and authenticity, particularly for items such as gems and jewelry, where fakes are notoriously sold to unwitting tourists. If you’re considering dropping lots of rupees on expensive items, you better know exactly what you’re doing. Even the most genuine sounding salesman could take you for a ride. Your rickshaw or taxi driver will inevitably want to bring you to his “uncle’s” or “brother’s” shop for your purchases. The driver will get a commission and you will pay more as a result. This isn’t always a bad thing as I’ve had luck with someone bringing me to a shop that sells items I couldn’t find elsewhere. More often than not, however, I’ve been taken to large overpriced shops where the fixed prices were easily double what small shops that allowed for some bargaining were charging. When possible, purchase from small independently owned shops or those that support cooperatives that help provide income for individual tailors and artisans. Clothing — Buying new clothes in India can be an adventure. Whether you’re shopping at a small market stall or a department store, you can get free alterations done almost immediately and items can be so cheap that you’ll be hard pressed to stop yourself from buying too much. For a truly Indian souvenir, take home a sari. Made from either cotton or silk, these are generally worn for special occasions by younger women and more regularly by middle-aged women and the older generation. Many stores specialize in saris, with literally hundreds of fabrics from which to choose. Plan on spending an afternoon poring over your options. 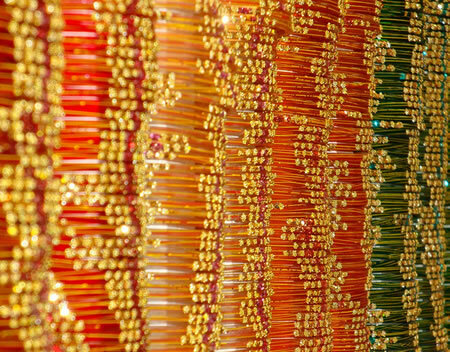 There’s a reason they serve tea or lemon soda in these shops — it could take hours to choose a pattern! FabIndia is a delightful store with locations in most major cities. Trendy styles that appeal to Western tastes are created using traditional Indian patterns and fabrics. Half of my wardrobe is from FabIndia! If you can’t find what you’re looking for at FabIndia, you can purchase fabrics and have a tailor custom make an item. I have found that choosing cloth and then having a skilled seamstress create a clone of something else I own works well. Textiles — Textiles are truly a part of India’s, uh, fabric. Gandhi had wanted Indians to burn their foreign-made clothes and support villagers by wearing khadiÂ (hand-spun cloth). Khadi shops that now include handcrafted products of all sorts are located throughout India, but the message remains the same — handmade textiles support the locals and provide Indians with a national dress. Because it is a major industry, textiles are relatively inexpensive. Hand-woven silk and cotton, wall hangings, scarves, embroidery and more can all be found throughout the country. Jewelry — Gold jewelry is worn by Indian women throughout the country with the exception of Rajasthan, where silver is the metal of choice. These are often inlaid with semi-precious stones such as amber, amethyst, rubies, turquoise, coral and more. If you’re not well versed about gems but make your purchase knowing (or not caring) that what looks like a ruby or amber is simply colored glass, then no harm is done as long as you’re not paying a lot for it. My earring tree is filled with Indian jewelry and I honestly don’t know if they are real silver even though they all carry a “.925” stamp. The most important thing is that I love them and they remind me of India. Carpets — You can hardly walk down a major city street without being accosted by a shopkeeper ready to serve you up some tea and roll out the carpets for you. Roll up your own sleeves and get ready for some hard bargaining as this may be one of your most expensive purchases. Shop around before you buy as prices will vary. Educate yourself in advance about the various knot counts available in both the cotton and silk varieties and ask lots of questions to ensure you’re getting a quality item. Getting your purchase home is another issue altogether. While the shop owner will probably offer a shipping service, you might consider mailing it yourself using DHL or FedEx. It will be well worth the added expense to ensure your carpet arrives safely. Handicrafts — The sheer variety of handicrafts available in India is unimaginable. Hole-in-the-wall shops and street vendors selling goods on makeshift tables cover every nook and cranny of a city’s sidewalks. Compare prices between shops. Even though items are cheap, be prepared to bargain as prices are rarely fixed in these smaller stores and stalls. Government-owned handicraft emporiums are an excellent place to start your search for local handicrafts. I used to think of these only as well-stocked but over-priced shops until I started discovering unique gift items there that I literally couldn’t find elsewhere. While they are slightly more expensive compared to shops carrying the same items, their variety is unparalleled. Prices are fixed, which makes shopping hassle-free. Handicrafts to look out for throughout the country include sandalwood, incense, jewelry, textiles, carpets, carvings, silk and pashmina scarves, handmade paper and musical instruments. CDs, Books and Movies — Major cities boast a number of large chain bookstores, including Landmark, Oxford, Crossword, Higginbothams, Odyssey, D.C. Books and Strand Bookstall. In addition, you’ll find many small independent bookstores. 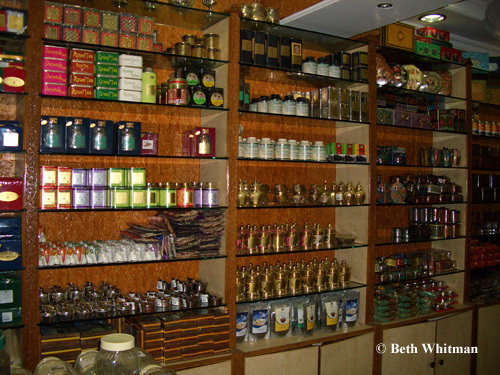 While the variety of books available is not as wide as those in North America and elsewhere, you can pick up bestsellers, unique Indian-based works of fiction and nonfiction, and books on Ayurvedic medicine, yoga, local birding and other subjects pertinent to India. These bookstores also carry CDs, videos, newspapers and magazines. Prices tend to be cheaper than in other countries. For your listening pleasure, visit an independent music store and pick up the latest Bollywood hits. A CD will set you back no more than a few dollars. I often go into one of these shops humming the tune that’s been playing in my taxi in hopes that the friendly staff can help me find this latest hit. Tea — Tea can be purchased throughout India but you’ll have the best luck and variety if you pick some up in the main tea-growing areas of Darjeeling, Assam and Kerala. If you don’t want to carry it around, buy it at Mittal’s in Delhi before you leave the country. This small shop is chockablock with tea, offering both bulk and touristy packaged options. Spices — India is famous for its food and the use of an amazing array of spices. A shopping spree at a grocery or spice store is a must before you depart for home. Prices are cheap and so much of what you’ll find will be unique to India. Roopak’s, in Delhi, has well-packaged bottles and bags suitable for carrying in luggage. While I always recommend carrying no more than one piece of luggage TO your destination, you’ll likely want to buy a bag prior to departing India so that you have something in which to carry all these amazing souvenirs home!